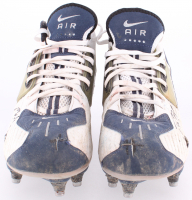 Pair Nike football cleats, size 12.5. 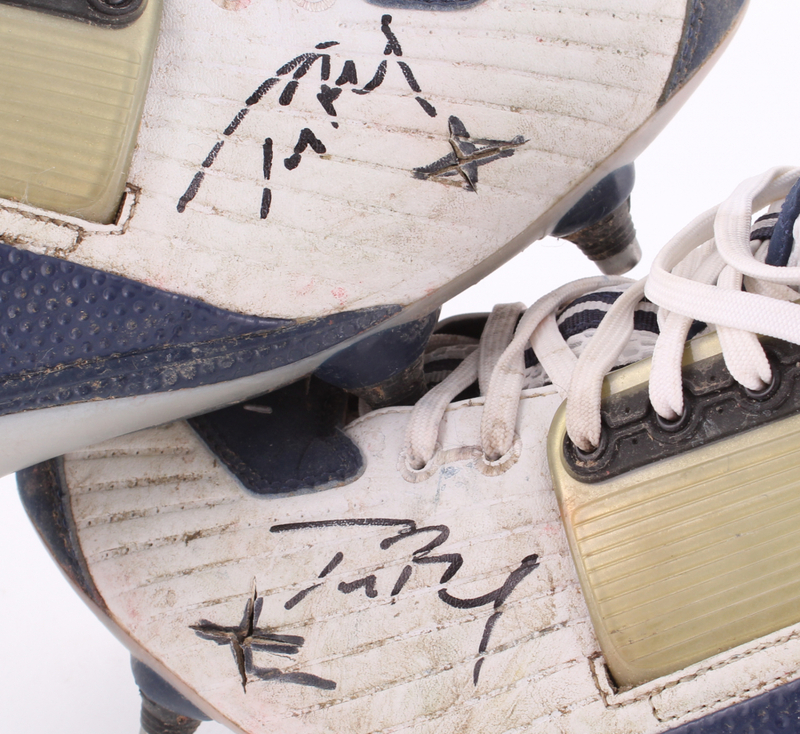 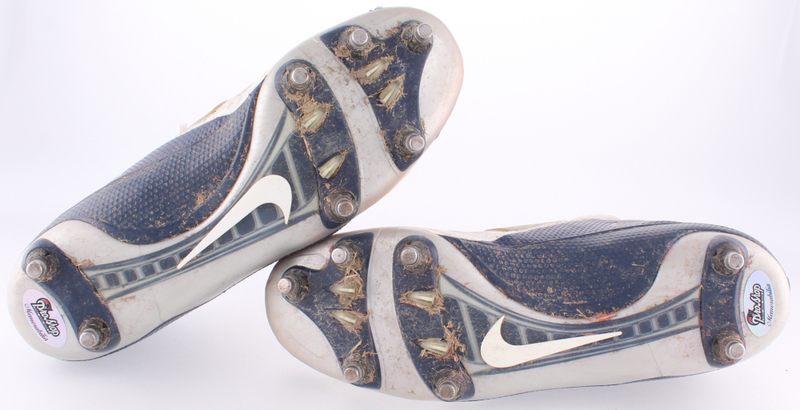 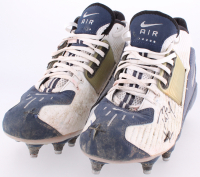 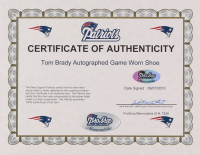 Both cleats have been game-used in the 2003 season and are both hand-signed in black felt-tip by Tom Brady (Patriots). 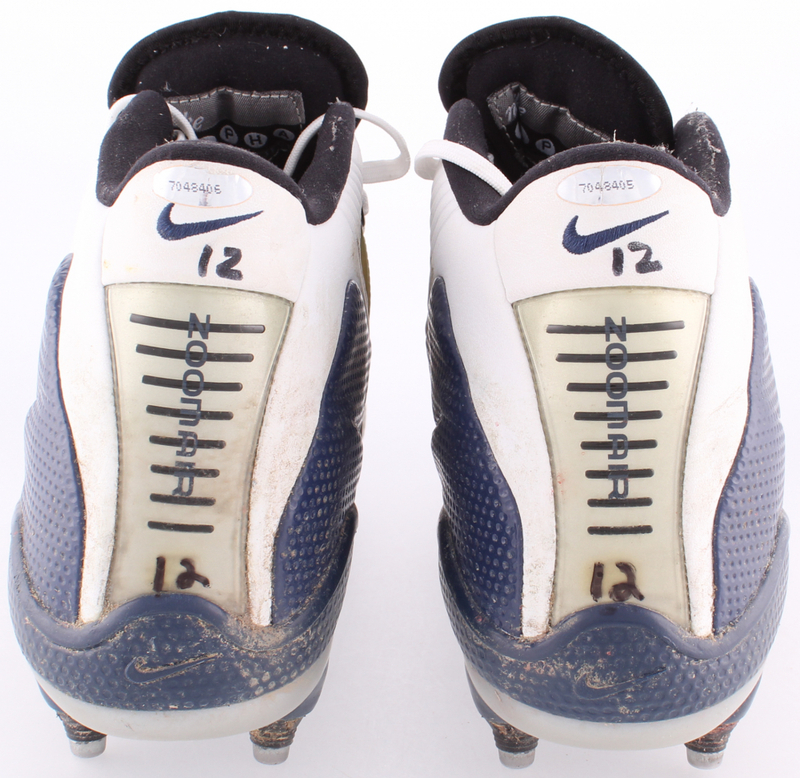 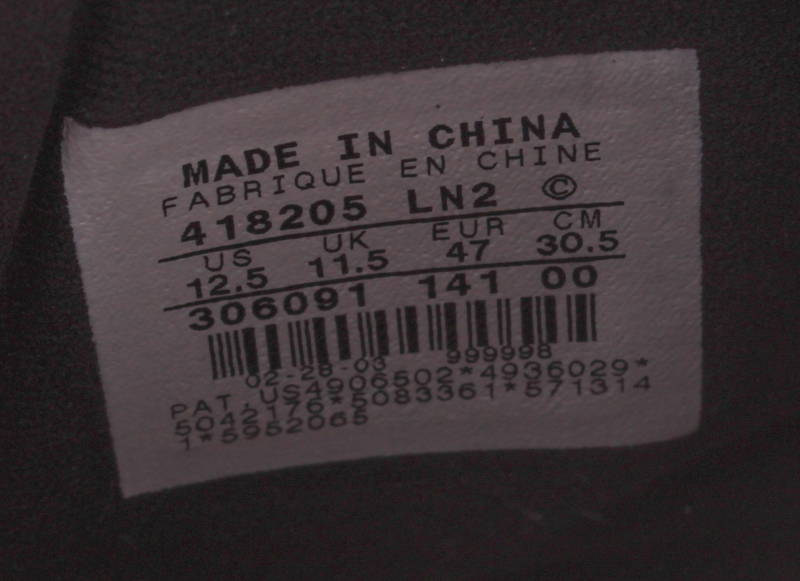 In 2003 Tom Brady had worn these shoes in a total of 5 games. 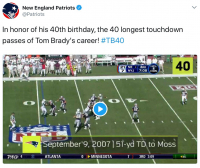 1 out of the 5 games which was the Miami Dolphins thriller overtime won by the Patriots, Tom Brady threw a touchdown pass for 82 yards to Troy Brown to seal the game. 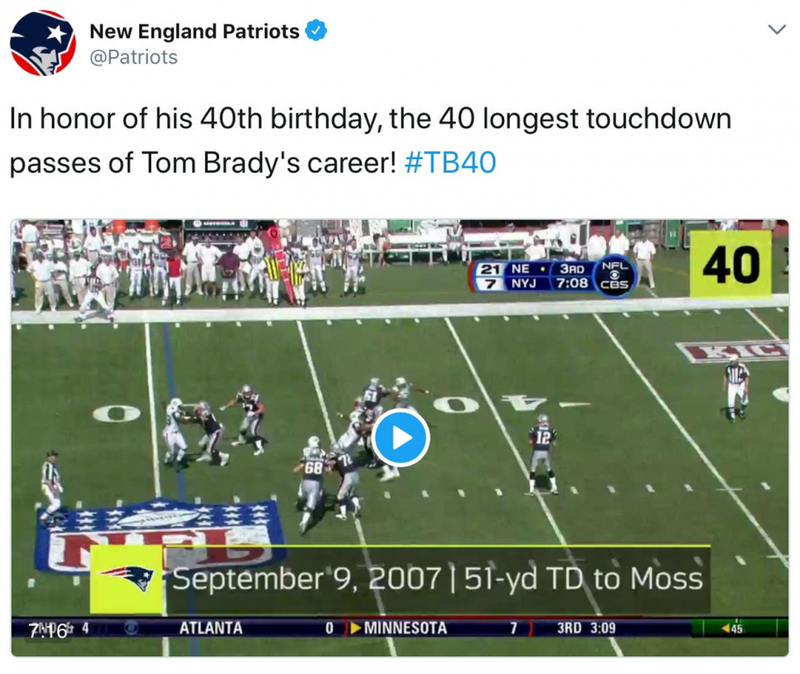 It was his 4th Longest pass ever. 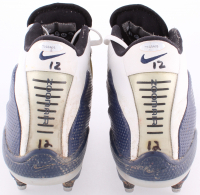 Please note listing includes a photo of the videos of his 4 longest touchdown passes of his career in 2003 it is the 2nd longest touchdown. 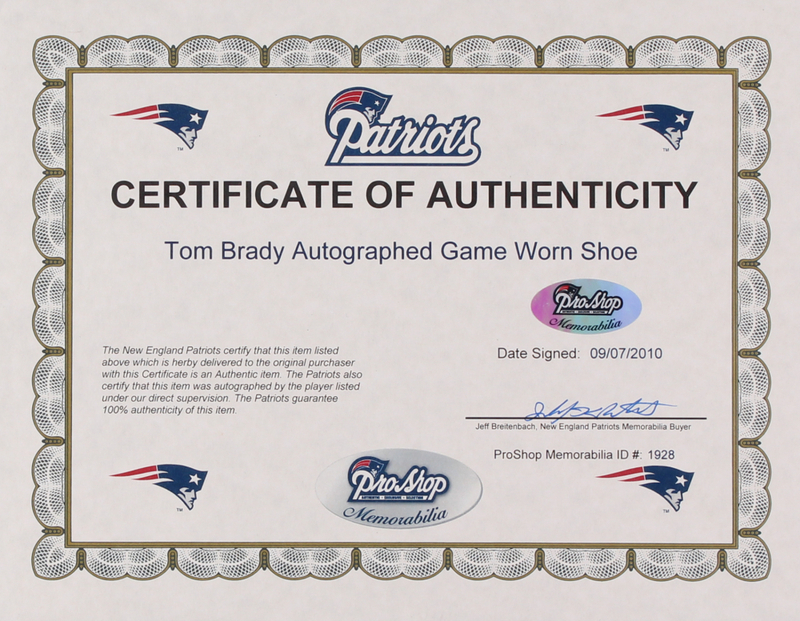 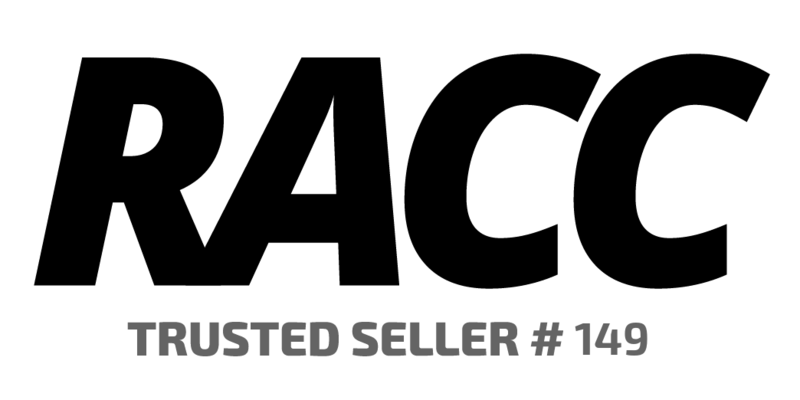 The lot / autograph(s) includes an official TriStar hologram as well as an official Patriots hologram and matching COA for authenticity purposes.